Here’s a tome of mystery and mayhem, with a hint of horror, but still sporting a cape. It’s the black and white Showcase collection of the Phantom Stranger! You may have seen him around the DC Universe, eyes white, hat low, but you don’t know his name, his origins. Well, here you are – even more lack of name and origin! Perfect. Ok, he wouldn’t be much of a Phantom Stranger if you knew more about him. His roots are here, in his self-titled Bronze Age feature collected along with the original Doctor 13 backup. 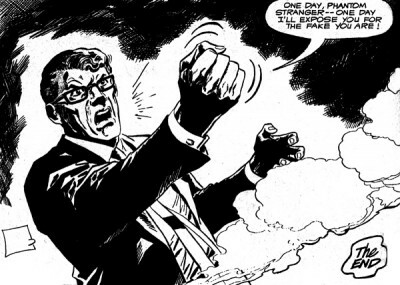 For those totally unfamiliar with the character, he’s one of the more obscure DC magic types. He shows up for various magic related events, was a major player in the Books of Magic miniseries, had appearances in Swamp Thing and Zatanna books, and recently was a major character in the first volume of the Madame Xanadu ongoing published under the Vertigo imprint. 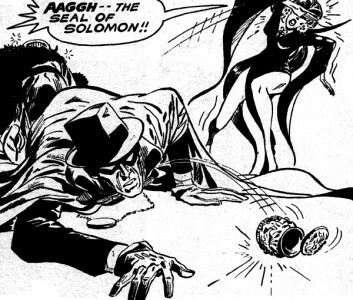 A little trivia: The Phantom Stranger doesn’t wear a mask – his eyes appear to be outlined with black due to his hat. In later appearances you never see the dots in his eyes, but in this early book he often seems to show much more emotion, sometimes even with a fully formed set of peepers. Though he has taken on other tasks, his original role was to show up randomly (as a stranger, yes?) and help during mystical conflicts, often done in one strange tales. Doctor Terrence Thirteen, The Ghost Breaker (whose roots stretch back to a small run in the 50s, and whose stories make up about 1/3 of this book) had a different spin. He’d pop in and debunk mysteries, ever the scooby skeptic. Together they serve as the hosts of this book, sometimes narrating and often participating directly in lightheartedly scary stories. The roster of artists and writers included here reads like a who’s who of DC in the early 70s – Bill Draut, Curt Swan, Len Wein, Nick Cardy, Robert Kanigher, Tony DeZuniga, and so on – just glance at the list above. Besides the Stranger and Dr. 13, notable characters include Tannarak (a devil stand-in who I think shows up in the Lucifer ongoing) and Tala, self styled queen of evil. Except for stories revolving around those two and some pesky frost giants, the majority of the issues can be enjoyed on their own, making this a good book to leave in the bathroom or read on your smoke break. That may sound slightly dismissive, but it’s not meant to be – the short form storytelling is done well for the period and many of the mysteries are actually quite amusing. I can’t say that I was particularly terrified or even grossed out – no EC style work here – by any of the stories, but there are some creepy moments. Perhaps the Scooby Doo metaphor is apt, it’s not quite horror. Or if you remember the more kooky episodes of Star Trek: The Original Series, that might give you some idea of the tone to expect here. 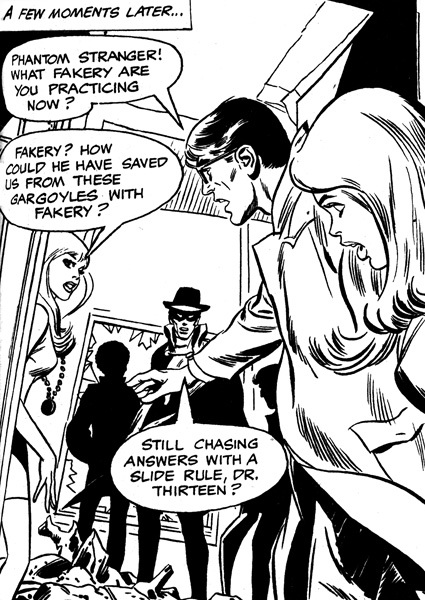 In general, the Phantom Stranger stories are of a bit higher quality than the Doctor 13 backups. Perhaps this is just because they maintain an element of mystery to them, while it gets clear very fast that Doctor 13 will always find some kind of electronic device to explain any bit of mischief – and once he starts really interacting with the Stranger, his constant dismissal of the obvious magical happenings becomes a bit tiring. His dialogue isn’t the silliest – as with many books of this era, there is a lot of outdated slang (possibly even when it was printed) that rolls of the tongue of any teenage character. Luckily, I really enjoyed that aspect. When reading any book of 40 year old comics, some suspension of modern tastes is required. I have to say, to this young reader, the book still works. 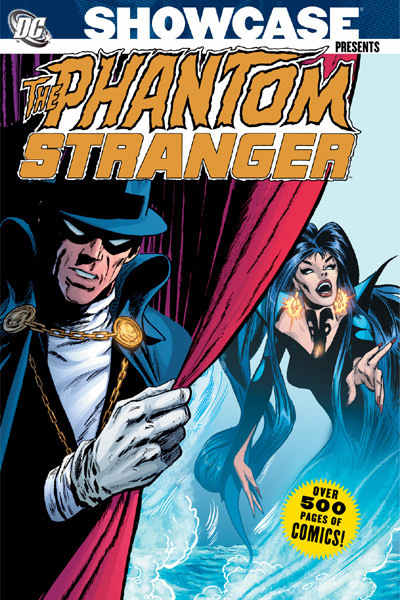 I was always curious about the Phantom Stranger from his brief DC appearances and as for this collection – I’m diggin’ it. 4 out of 5. Some of the weaker stories drag it down a bit, but you’re getting more than enough quality for the price. Groovy. You can probably get the gist of any Phantom Stranger appearance without reading this, but it’s not a bad place to start. Note, because of his interaction with so many Vertigo characters, we place this book on the Vertigo Universe list. You might want to check out Showcase Presents: House of Mystery Vol. 1 or Showcase Presents: House of Secrets Vol. 1 to see what else was happening on the mystical side of the DCU during this period. Also of serious note: Swamp Thing: Dark Genesis. It runs a little later, but Swampy even has a cover cameo in this volume. 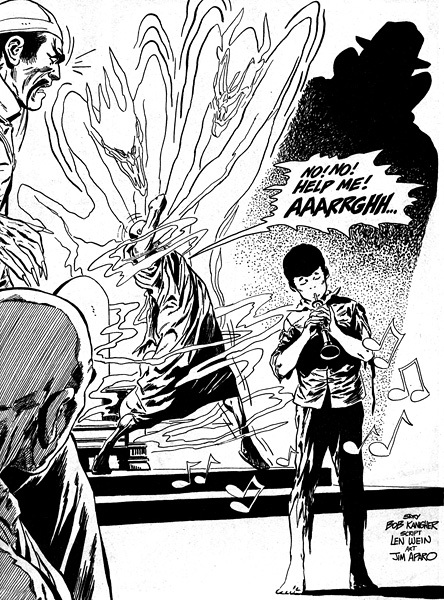 The logical next step would be Showcase Presents: The Phantom Stranger Vol. 2 but if you’re looking for a more modern take, check out the highly recommended Books of Magic miniseries by Neil Gaiman, which moves into a really great ongoing. Madame Xanadu Vol. 1 also plays heavily on the Stranger, but doesn’t come quite as highly recommended. As for Dr. 13, I’m not sure where he shows up next, but his fairly recent modern age miniseries is collected in Doctor 13: Architecture and Morality. 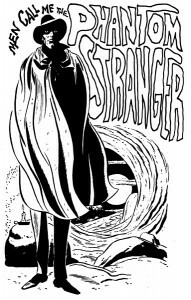 Hell yeah, The Phantom Stranger. This book is easily among my favorites. Such a great character with such an interesting evolution. Thanks for the recommended reads! That looks nice! I’ve never heard of him but I love Sandman and that seems similar. I’m definitely going to check Books of Magic because I love Gaiman. and Matt Wagner is great too so maybe some Madame Xanadu. Are there any recen collection of Phantom Stranger? it seems most of it is old black and white form 50s-70s. He’s definitely part of that Vertigo universe. I’m not sure if he’s had any modern ongoings worth checking out (nothing I know of collected) but Books of Magic is as good a place to start as any – and it runs into one of my favorite ongoing series of that period. Phantom Stranger – one of the most mystery character or most. yeah, it can be funny how it has its own thing but is also part of the wider continuity. I’m really looking forward to seeing the characters back in the mainstream DCU after all the hubbub about the move from the Vertigo imprint. Agreed. Any who claim that he’s not part of the DCU are clearly not versed in the character’s history. There was a while where they had no actual superhero appearances in his books, but that doesn’t really mean anything besides a story telling preference. We actually had a lot of discussion on adding the vertigo books to the DC Universe reading order, back when they first made that major announcement. The Swamp Thing arc where he has to rescue Abby from Gotham City is probably one of my all time favorites. It’s hard to really pick one as my absolute favorite, but that one comes immediately to mind. Abby Arcane is being held in gotham and Swampy has to rescue her. I think it’s in issue 53, collected in Earth To Earth. Not quite sure on the issue number, though. yeah, got it and replied. Feel free to start a forum thread on the subject. No problem. It’s 6am here and I gotta get a couple hours sleep, but if you have any other questions feel free to shoot them over (or just leave them in the forum) and I’ll get back to you when I wake up! Hey! This is my 1st comment here so I just wanted to give a quick shout out and tell you I genuinely enjoy reading your posts.